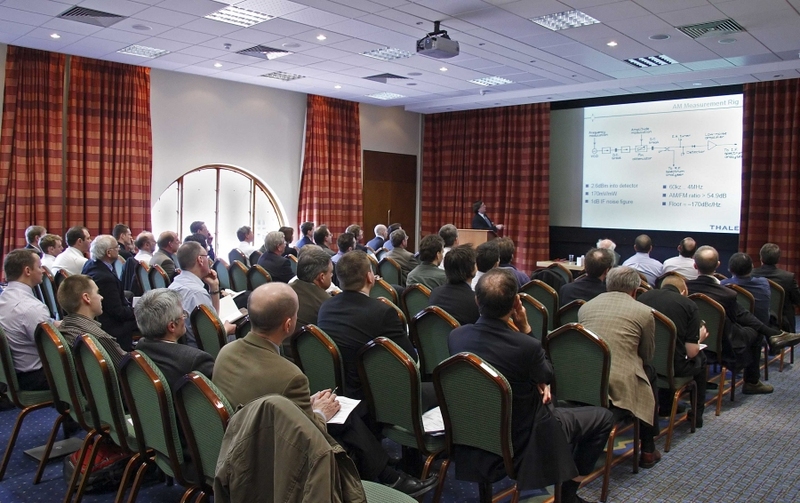 The April 2011 ARMMS conference was another sold-out meeting. The winner of the best speaker prize was Jeff Powell of Skyarna ( http://www.skyarna.com/ ). Description Signal integrity is one of the most relevant parameters in the integration of high speed data lines. Signal integrity directly affects the performance of the transmission link. The main causes of poor signal integrity include reflections, frequency response and crosstalk. Characterization of the transmission path can determine in advance many of these problems and solve them where necessary. The SPARQ, which stands for �S-Parameters Quick�, is a new class of instrument for the signal integrity market � a TDR/TDT-based network analyzer that measures 40GHz, 4port S-parameters with a single button press, and at a fraction of a cost of a VNA. Fully calibrated measurements can be made in minutes, and without any need to connect or disconnect cables to calibration kit standards or electronic calibration modules. Description An overview of modern RADAR receiver protection requirements and technology is presented. The development of accurate electromagnetic models for predicting the performance of complex waveguide-based receiver protector modules is also described. These three-dimensional models were developed using Ansoft HFSS for various multi-stage receiver protector modules which incorporate both solid-state and pre-TR gas cell stages. Through careful consideration of the silicon PIN diode material parameters used, the developed models have demonstrated accurate prediction of the S-parameter response, range of reliable operating conditions for the silicon PIN diodes, and the input power threshold at which the pre-TR gas cell activates. Description Radio frequency micro-electro-mechanical systems (RF MEMS) have been heralded as a tech-nology fit for the 21st century, offering unsurpassed RF performance over more conventional solid-state electronic devices. In recent years, this technology has seen a rapid rate of expan-sion because of its potential for advancing new products within a broad range of applications; from ubiquitous smart sensor networks to mobile handsets. Indeed, within the US, Asia and Europe, R&D is almost at fever pitch. The high levels of investment come second only to the expectations for commercial exploitation. The first RF MEMS device was reported 30 years ago by IBM. After experiencing the peak of inflated expectation in 2003 and subsequent trough of disillusionment in 2005, RF MEMS switches have emerged into the slope of enlightenment. They are now commercially available on the open market, offering new solutions for realizing high performance reconfigurable microwave circuits and systems. A major new book, en-titled Advanced RF MEMS (edited by the speaker), is scheduled for publication at the beginning of 2010. This lecture will explain the many facets of this technology and demonstrate how RF MEMS can move itself out of the laboratory and into real commercial applications. 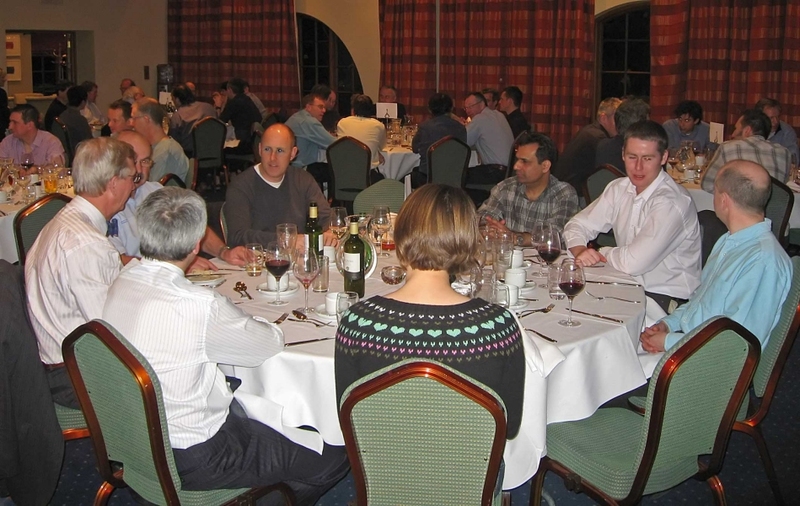 Company Cranfield University & Specialist Microwave Solutions Ltd. Description Software packages are an essential requirement for the design of microwave components. Their use bypasses the costly process of redesigning and rebuilding prototypes and often ensures a final design that gives a close-to-optimal performance. This paper will analyse the capabilities of the available design software packages, including those purchasable from the well-known companies, such as AWR, Agilent and Ansoft. Important features of each software package will be listed against the requirements for accurate modelling. Other important considerations for the use of design software will also be included in this comparison, such as user-friendliness, approximate cost and range of vendor libraries. Description Agent Based Modelling (ABM) is the current hot topic in numerical simulation. ABM is based on the notion that a large number of individual nodes, having behaviour determined by simple rules, can sometimes lead to the emergence of complex overall system behaviour. This idea can be applied to the protocols used in Wireless Sensor Networks (WSN) and promises a practical method of estimating the key performance parameter of battery life. The use of simulation is particularly important for WSN validation, as it is clearly impractical to experimentally check a system with many nodes over its intended life of years in extreme interference scenarios. The current state of applicable simulation tools will be reviewed and an example of actual radio system performance will be presented. Description An overview of the high-frequency reflectometer technology deployed in Anritsu�s VectorS-tar Vector Network Analyzer (VNA) family will be given, leading to a detailed description of the architecture used to extend the frequency range of VectorStar into the high millimeter waves. It will be shown that this architecture results in miniature frequency-extension modules that provide unique capabilities such as direct connection to wafer probes, dense multi-port measurements, test-port power leveling, enhanced raw directivity, and reduced measurement complexity when com-pared with existing solutions. These capabilities combined with the frequency-scalable nature of the reflectometers provide users with a unique and compelling solution for their current and future high-frequency measurement needs. Description Excellent noise performance can be achieved using Gallium Nitride (GaN), circuit noise figures close to those achieved for GaAs devices have been reported. GaN offers additional benefits over GaAs: higher temperature operation, higher breakdown voltage and improved radiation hardness � making it an attractive technology for use in space-borne applications. Receiver components need to achieve minimum noise figure and high gain, but must also be protected against damage due to large signal inputs. This is ordinarily achieved by including a limiter device before the LNA circuit, typically diodes to clamp excessive voltage swings. GaN offers the potential to delete the limiter and therefore reduce component mass, cost and potentially improve overall system performance. This paper describes studies aimed at optimizing GaN processing technologies to simultaneously achieve low noise and robust devices for use in receiver circuit design. Initial small signal mea-surements are presented for an LNA design using a CPW GaN process. The LNA MMIC has been designed to withstand 10W CW input signal level. Description This paper describes high-efficiency multistage Doherty power amplifier architectures for base station applications. Three- and four-stage Doherty architectures can provide lower efficiency peaking points at significant output power backoff even for equal device periphery ratio, with peak efficiency ranging from 12 dB output power backoff levels In practical implementation, each power amplifier is based on a high-power GaN HEMT or LDMOSFET device with the transmis-sion-line load network corresponding to an inverse Class F mode approximation. The theoretical analysis is based on an analytical derivation of the optimum load-network parameters to control the second and third harmonic components at the device output, including the device output parasitic shunt capacitance and series inductance. In a single-carrier 2.14-GHz WCDMA operation mode, a high drain efficiency of more than 60% can be achieved at an average output power of 20 W.
Description Space satellite system design trade-offs increase with the complexity of the payload requirements. For reliable and dynamic in-orbit satellite operations, the front-end receiver of the payload must have the capability to adapt to emergent mission and post-mission reapplication requirements. This paper presents a novel payload receiver front-end topology(s) for maintaining a reliable and stable gain-to-noise (G/T) ratio of the satellite network; the G/T ratio defines the uplink performance of a satellite network. The use of adaptive reconfigurable low-noise amplifiers is proposed. The underlying transponder architecture enables the integration of device-level technologies with inherent reliability and radiation tolerance. Furthermore, a system engineering case study for a satellite communications mission is presented. Adopting this design philosophy in future space satellite payload module promises stable, economical, optimal, broadband and adaptive space operations. Description Harmonic or more correctly Sub-Harmonic or Sub-Harmonically Pumped Mixers have been with us since Major Armstrong of the US Army Signal Corps invented the Superhetrodyne Principle in 1917 (or was it actually invented by Reginald Fessenden in 1902???). Harmonic mixing was used in early household radio receivers to save money since �The Wireless� was a luxury every family craved and harmonic mixing saved a valve! In the modern Microwave and Millimetre Wave world sub-harmonically pumped mixers are often used because of the difficulty involved in the generation of SHF Local Oscillator signals. This paper describes some �other� applications of Harmonic Mixers in Frequency Synthesizers where the devices are used to reduce costs and improve phase noise performance. Description Spectrum Analysers are the mainstay of most RF and microwave development laboratories. They allow engineers to investigate spectral properties of RF signals such as harmonics, spurious, channel power, bandwidth, adjacent channel power and in some cases vector demodulation of signals to name a few. The spectrum analyser has changed over the years moving to digital architectures and allowing FFT filters to be used to significantly improve speed. However swept spectrum analysers still miss short term spurious events not just due to sweeping, but also due to gaps during the FFT calculation process. This presentation covers the the next step in spectrum analysis and talks about the architecture of a realtime spectrum analyser. We discuss some of the applications related to frequency selective triggering to allow further analysis of signals than previously possible including re-use of IQ data around specific spectral events. Description 802.11 was the first mainstream short- range wireless technology, but initial generations were too power hungry for mobile devices. The Bluetooth SIG came up with a robust RF specification which made the breakthrough into mobile handheld and wearable devices by dramatically reducing power requirements. The Zigbee Alliance responded with another low power RF specification based on IEEE 802.15.4, and WiMedia is still trying to push UWB, again coming out of the IEEE 802 family. This talk looks at the future for short range RF including regulatory changes opening up spectrum for TV Whitespace, new groups such as the WiGig alliance, and new developments in existing specification development organizations.